With all the drama and bustle of agency life, many of us struggle to find the time to keep up with industry news and views. It's often a struggle to read the news sites and we usually delete all those email updates without so much as a glance. But books … well, books are special. A book is a treat to be savoured, and a book that can inspire us to greatness, or offer insights into better business practices, or a book that simply makes us laugh … well, we can always find the time for those. Here are 25 of my absolute favourite books on marketing, agency best practice, new media and client relations. How many have you read? The old, change-resistant stalwarts of the marketing industry are falling and new leaders are emerging. Hybrid marketing agencies that are more nimble, tech savvy, and collaborative are redefining the industry. The depth, versatility, and drive of their talent will be the cornerstones of organizations that pursue a higher purpose. The Marketing Agency Blueprint is a practical and candid guide that presents ten rules for building such a hybrid agency. Written by Paul Roetzer, founder and CEO of PR 20/20, a Cleveland-based inbound marketing agency, the Marketing Agency Blueprint is a guide for building tech-savvy, hybrid agencies that are more efficient, influential and profitable than traditional firms. When I read this book at the beginning of my agency adventure I through it seemed as if Paul Roetzer took all my questions and wrote a book about them. Definitely a must-read if you're looking at taking your agency into the future. Average Customer Ratings: 4.5 stars. 2. 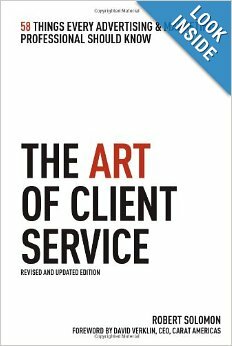 The Art of Client Service: 58 Things Every Advertising & Marketing Professional Should Know, Robert Solomon. (Kaplan Publishing, 2008). If you work with clients in any industry, The Art of Client Service is for you. 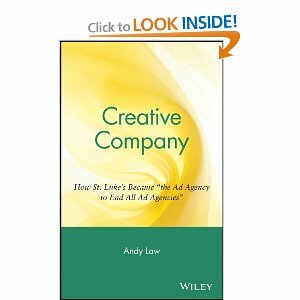 If you work in an advertising or marketing agency, then this book is indispensable. Client relations is one of the areas we receive the most questions about – it seems everyone wants to know how to improve their client/agency relationships. Robert Solomon, an advertising executive with decades of experience, has created this pocketsize, action plan of 58 essential ideas to help agency account managers and the entire creative team improve their strategy and skills. What I love most about this book is that Solomon uses lots of examples to demonstrate the strategy behind his ideas, and his clear, concise style makes for an engaging read. With chapter headings like "The Zen of Powerpoint" and "What to Do When You Screw it Up", there's even a bit of humour thrown in. Average Customer Ratings: 5 stars. In 1948, David Ogilvy started the agency that would become Ogilvy & Mather. Starting with just two staff and zero clients, Ogilvy built his company into one of the eight largest advertising networks in the world. 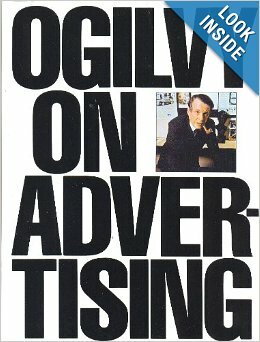 He wrote three books, all of which are brilliant, but my personal favourite is Ogilvy on Advertising. Candid and uncompromising, Ogilvy on Advertising is an indispensible primer on all things advertising from the man Time magazine called "the most sought-after wizard in the business." Yes, the examples are out-of-date and some of Ogilvy's design suggestions are old-fashioned, but the fundamentals of advertising haven't changed since his day. 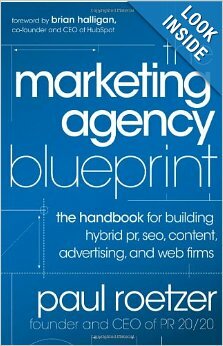 There should be a well-read, dog-eared copy of this book on every agency bookshelf. 4. 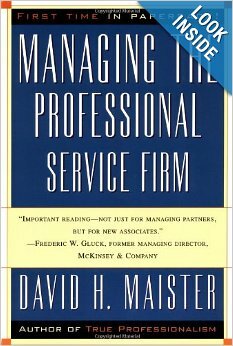 Managing the Professional Services Firm, David H. Maister (Free Press, 1997). Professional firms such as agency have distinct management problems. Many of the management principles of product-based companies just don't apply, and the individualised skill and attention required to offer such personalised services means that firms aren't just competing for the best clients, but for the best staff. David Maister is one of the leading authorities on management at professional service firms. Drawing on more than 10 years of research and consulting experience, Maister explores issues that affect many agencies: from marketing and business development to multinational strategies, human resources policies to strategic planning, profit improvement to effective leadership. There is a lot to learn about successful management practices from Maister's no-nonsense style. 5. 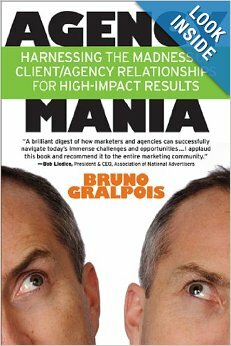 Agency Mania: Harnessing the Madness of Client/Agency Relationships for High-Impact Results, Bruno Gralpois (Selectbooks, 2010). Why do some client/agency partnerships thrive while others fail? And how can both parties improve the chances of success? Every year, companies spend billions of dollars into marketing efforts. If the client and the agency aren't on the same page, then what kind of results can they hope to achieve? Agency Mania is an indispensable blueprint of the anatomy of a strong partnership with an advertising, media, digital, PR or marketing communications agency that drives results and delivers real value to the client's business. Bruno Gralpois, a seasoned marketing executive who's worked with some of the world's most successful brands, shines a bright light on the insanity of client/agency relationships. This book is jam-packed with quotes and anecdotes that show Galpois' ideas in practice, and is a wonderfully practical book for any agency struggling with clients. John Morgan is president of Brand Against the Machine, an agency specialising in corporate and company branding. He's worked with companies in over 300 industries, and his message is simple: "The machine blasts messages at the world and it does not care who you are or what you have to say or whether its message is relevant to you at all. The machine is a moron. You, however, are not." 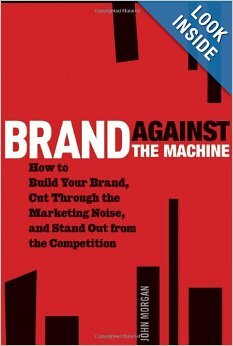 Brand Against the Machine is all about raging against the traditional forces of advertising. Morgan offers proven and actionable steps for companies and entrepreneurs to increase their visibility and credibility, and create an indispensable brand that consumers can relate to. Witty, charismatic and intelligent, Brand Against the Machine will help your agency – and your clients - stand out, get noticed, and be remembered. 7. 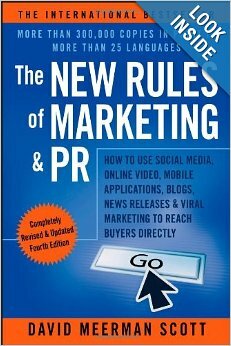 The New Rules of Marketing & PR: How to Use Social Media, Online Video, Mobile Applications, Blogs, News Releases, and Viral Marketing to Reach Buyers Directly, David Meeman Scott (Wiley, 2011). Called a "modern day business classic", David Meeman Scott explores the way business communication has radically changed over the last ten years. In a world where creative ad copy is no longer enough, The New Rules of Marketing and PR aims to bring account managers, agency professionals and marketers up to speed with the changing requirements of the modern age. Scott is the author of other popular marketing books, including Marketing Lessons from the Grateful Dead, and is also a popular speaker at industry events. His upbeat, modern style makes this book an easy read and, although it might be too simplistic for "digital natives" it definitely helps get those without a lot of confidence in modern marketing a firm grasp on the fundamentals. Even those with years of experience will learn a thing or two. Occasionally, a great idea will sell itself. The other 99% of the time, you have to find a way to persuade others that it is, in fact, a great idea. In this engaging and humorous narrative, Peter Coughter presents the tools he created to help advertising and creative professionals and agencies develop persuasive presentation that result in better business. Now a Professor at the prestigious VCU Brandcenter at Virginia Commonwealth University, Peter Coughter is also President of Coughter & Company. He consults with leading advertising agencies around the world, giving them the benefit of his years of experience behind on of the Southeast's most respected agencies. 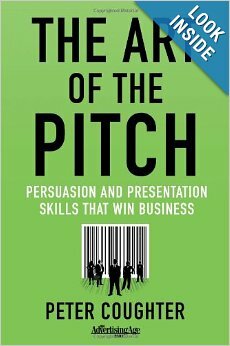 This book is all about the art of the pitch, a skill that any good agency professional needs to hone (as evidenced by many of the anecdotes in the book!). A must-read for anyone pitching clients. 9. Logo Design Love: A Guide to Creating Iconic Brand Identities, David Airey (New Riders, 2009). There are plenty of design books out there showing off collections of logos, but Logo Design Love helps designers to understand exactly what makes a logo great. Author David Airey is a graphic designer from Northern Ireland, and author of three of the most popular graphic design websites ever created: David Airey, LogoDesignLove and IdentityDesigned. And if you're in the business of designing logos, you want to read what he's got to say. Concise and easy-to-digest, Airey explores the intricacies of his logo design process, and uses a wide array of real-world examples to illustrate the points in his method. Contributors include Gerard Huerta, who designed the logos for Time magazine and Waldenbooks; Lindon Leader, who created the current FedEx brand identity system as well as the CIGNA logo; and many more A copy of this should be given to every budding graphic designer when they enter college. For me, The Hero and the Outlaw was one of the best books I read in the last year. 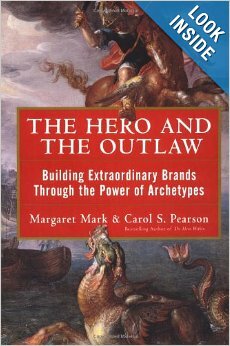 The authors combine their knowledge of archetypes and business strategy to show how a brand's meaning – how it resonates in the public heart and mind – is a company's most valuable competitive advantage. Using studies drawing from the branding experiences of companies like Nike, Ivory and Marlboro, the authors show how brands can harness the power of archetypes to maintain competitive advantage and align corporate strategy. 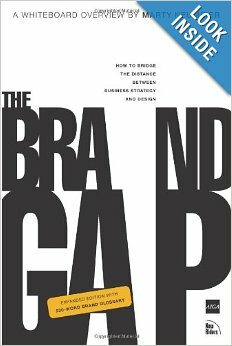 This book offers a new way to think about branding, with twelve archetypal categories (such as Caregiver, Creator, Outlaw, and Jester) that correspond to brand identities. A fascinating and engaging read. You will never look at branding the same way again. Average Customer Rating: 4.5 stars. 11. 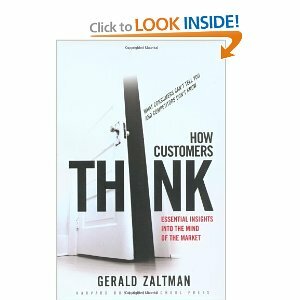 How Customers Think: Essential Insights into the Mind of the Market, Gerald Zaltman (Harvard Business School Press, 2003). Drawing on psychology, neuroscience, sociology, linguistics and other branches of cognitive science, author Gerald Zaltman offers insights into the mind of the consumer. Based on years of research with big brands like Coca Cola and Proctor & Gamble, Zaltman explores how unconscious values underlie customer reactions to products and campaigns. Zaltman's patented "metaphor elicitation" technique offers marketers a new way to think about advertising – using memory, metaphor and storytelling to elicit emotional reactions to a campaign. As Zaltman is primarily an academic, this book may be heavy reading for some, but the techniques and concepts expressed within are worth the effort. Exploring the customer's whole mind in this way will become increasingly important in the marketing of the future. Average Customer Rating: 4 stars. 12. 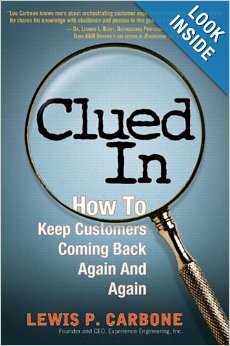 Clued In: How to Keep Customers Coming Back Again and Again, Lewis Carbone (FT Press, 2004). Clued in is all about engineering an unforgettable customer experience, over and over again. If your agency works with clients in the service industry – particularly hotels, restaurants and entertainment venues – then reading this book will really help you understand what drives their customers. Author Lou Carbone knows his stuff, and he should, as the founder and CEO of Experience Engineering, a customer-experience-consulting firm with a client list including IBM, Avis, General Motors and Blockbuster. Carbone's methodology is focuses on using environmental clues to solidify the brand experience – the reasoning is simple: make customers feel good about themselves, and they'll be happy customers who come back again and again. As marketing and business advice goes, Clued In is, in my opinion, one of the most underrated on the market. If your agency works in digital media, and you haven't heard of either of these two authors, than … your agency probably shouldn't be working in digital media. 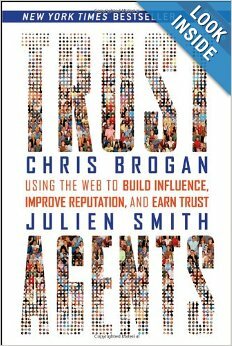 Trust Agents is a NY Times and Wall Street Journal bestseller that shows you how to tap into the power of social networks to build your brand's influence, reputation and profits. The premise of the book is this: A trust agent isn't necessarily a marketer, they are the digitally savvy people who use the web to humanize business through transparency, honesty and genuine relationships. As a result, they have enough influence online that they can alter a company's reputation. I found this book to be an engaging read with lots of lessons about marketing and social media that can be applied to both client work and the agency business model. 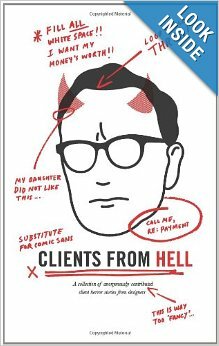 For years, the Clients from Hell blog has been bringing those who work in graphic, print and web design to tears with unbelievable and hilarious accounts from the design frontlines. The print collection brings together some of the fan favourites from the site's extensive archives, as well as new stories, bizarre requests, unforgettable quotes, and elaborate communication failures. Anyone working with clients will find many of these difficult and often insane circumstances painfully familiar. If you're looking for something light-hearted after a nightmare day, or to blow off some steam after a particularly crazy client interaction, then this is the book for you. The mighty Jon Steel (it just feels right to say his name like this. That's the thing about having a name like Steel in the advertising biz) is director of account planning and Vice Chairman at Goodby, Silverstein & Partners, an agency with a client list that reads like the who's who of branding successes – Nike, Polaroid, the California Milk Processors (the "got milk?" campaign), and many more. 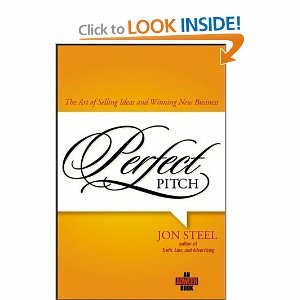 During his 20 year career, he's won more than 90% of all campaigns he's pitched, and this book shows you how he did it. While there is an awful lot of Powerpoint Presentation hatred between it's pages, there's also a ton of useful tips and ideas from one of the world's masters of pitching. If your agency is pitching for work, or if you're involved in any situation where you need to make presentations, then this book will transform your life ... and your bottom line. You can have a rock-solid business strategy, unlimited resources, and the most talented people on staff. 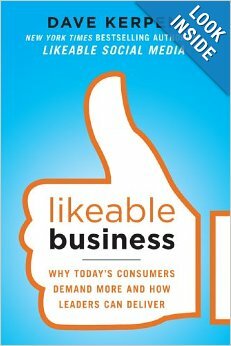 But only one thing is guaranteed in today’s hyper connected society: if your business isn’t likeable, it will fail. That's the premise behind Dave Kerpen's book, and inside its pages he lays out 11 strategies for businesses of all sizes to increase profits and spur growth. If you're a driving force in the business strategy of your agency, or you are looking for insights into how your clients might be able to drive likeability in their campaigns, then this book will provide a blueprint for social trust and proof. I find the authors' style bold and engaging – they definitely come across as likeable, and the ample examples within Likeable Business demonstrate that they practice what they preach. Definitely one of my favourite business books of last year – not just likeable, but loveable. Both authors are vice presidents at Forrester Research, and, as such, have access to and understanding of a wealth of knowledge about social change and web 2.0 research. 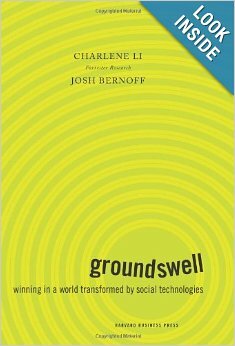 Groundswell is the result of much of that research. The book explores how consumers are using online social technologies such as blogs and podcasts to create their own discussion about products and companies, find the best deals and write their own news. As a company, this is a scary thought. But using the research Li and Bernoff are presenting here, companies have a real opportunity to protect and strengthen their public image through the use of social technologies. "This book will rock your world," says Scott Cook, founder and Chairman of the Executive Committee at Intuit. It was recommended to me by an agency exec friend, who could not stop raving about how much it helped him understand and evaluate social media as a business tool. This is a must-read for any company doing business in the digital age, but even more vital for agencies who operate in this space. You can't be in the ad business and not have heard of St. Lukes, the infamous London agency that bucked the culture of advertising to its core. In 1995, a small group of creatives got together to test out an idea. They loved the work, but hated the workplace, and wanted to create an agency where creativity, ingenuity, innovation and a sense of fun would thrive, instead of being stifled. As the company gained a reputation as a place where creativity was celebrated, its profits soared $90 million in three years. This book is like the blockbuster movie of the agency world – fast-paced, full of witty one-liners and impossible-to-believe scenarios. There is a lot of controversy over just how much the agency's failings (and there are always some) have been glossed over, but I found this book an engaging and entertaining look at a unique era in agency history. The year 2000 marked the biggest merger in American history. Time Warner and America Online became overnight the largest media company in the world. 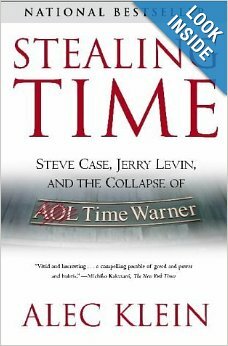 AOL Time Warner was hailed as a rising success; the perfect meshing of the old media and the new media. Three years later, nearly all the executives behind the merger were gone, the company had lost tens of billions of dollars, and the U. S. government was investigating their business dealings. So what the hell happened? Alec Klein is a journalist, who covered the AOL Time Warner story for the Washington Post ever since the merger was announced. In his book, Klein reveals a twisted, riveting tale of hubris, ambition and greed as it unfolded in the midst of the technology bubble. This is pure beach reading for agency folk – it's a primer on what not to do, as well as a damn unpardonable story. 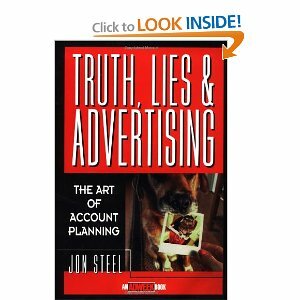 Another book from (the mighty) Jon Steel, this book looks at how an agency account planner must work in partnership with clients, consumers, and the creative team. Steel wants account planners to understand that the right research, transformed into an inspiring creative brief, can be the catalyst for the most brilliant new ideas and campaigns. Basically, if you're an accounts manager, this is your primer for the best work methods, honed by a master over 20+ years in the industry. Witty and erudite, Steel expertly weaves research and methodology alongside case studies and personal anecdotes. Steel is truly a hero in the business, and there is much to learn from this book. "A lot of people talk about it. Yet very few people understand it. Even fewer know how to manage it. Still, everyone wants it. What is it? Branding. of course -- arguably the most powerful business tool since the spreadsheet." Author Marty Neumeier pulls no punches in his view of the problems plaguing the advertising, design and marketing industry – the gap between strategic thinking and design aesthetics. This book isn't a heavy read, and it often feels a bit light on information. Neumeier accompanies his text with diagrams, summaries and illustrations, meaning there's a lot of time spent dealing with conceptual issues. But I enjoy the author's crisp writing style and found his views on the design process and how to better integrate it into strategic thinking to be extremely insightful. How is new technology changing us? 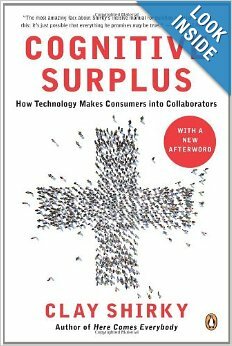 Are we becoming less consumers, more collaborators? Clay Shirky thinks so, and in Cognitive Surplus, he talks about many of the changes taking place now and in the future and how they are altering the way we interact with brands. Author Clay Shirky is a lecturer at the Interactive Telecommunications Program at NYU, and he's consulted with a variety of Fortune 500 companies (Nokia, Microsoft, Lego, the BBC) on business strategy, branding and creativity. His research suggests that this cognitive surplus actually returns our society to it's natural, collaborative, state. I enjoyed the intense and extremely optimistic picture of a technologically driven world that the author puts forth. If you're a creative, or work with creatives, this book offers some integral insights into how we create, and why, and what we can do to work together better. Shirky's outlook demonstrates a hopeful and joyous future for humankind, one I definitely want to be a part of. You've heard of "web 2.0"? 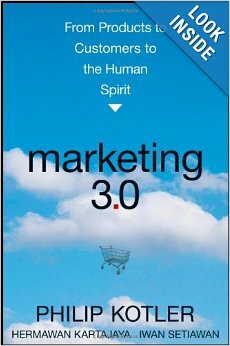 Well, what about "marketing 3.0"? What does the brave new world of marketing look like? In this book the authors look at the future of marketing and describe a world where companies create products and culture that inspire, include and reflect the values of target customers. Called a "holistic" approach to marketing, Marketing 3.0 has the companies engaging in conversation, positioning themselves as positive forces in the world, and collaborating successfully with customer-advocates. This book doesn't really present a "textbook" of what to do and what not to do, but it offers some insight and inspiration into an optimistic and hopeful future world. Thoroughly enjoyable. 24. 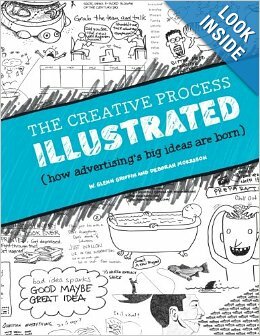 The Creative Process Illustrated: How Advertising's Big Ideas are Born, W. Glenn Griffin and Deborah Morrison (HOW Books, 2010). How are big ideas born? What is the story behind some of advertisings biggest successes? In The Creative Process Illustrated, we get an intimate look behind some of the top minds and the biggest briefs in the advertising world. Agencies such as Wieden+Kennedy, The Jupiter Drawing Room, McCann Erickson and Ogilvy & Mather share some of their most fascinating projects. I love looking at the designer's sketches, and seeing some of the humorous (and profoundly human) concepts and sparks that led to their best ideas. You can see, rather than just read about, how their thought process brings a brand to life. What makes the lightbulb go off in a designer's brain? There's no real answer to this question, but I enjoyed the process of exploring it. 25. 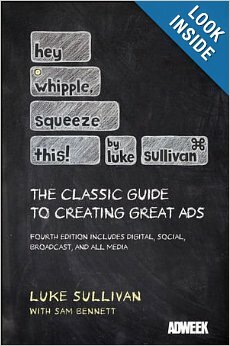 Hey, Whipple, Squeeze This: The Classic Guide to Creating Great Ads, Luke Sullivan and Sam Bennett (Wiley, 2012). Sharpen your writing, hone your designer mind, and unleash your creativity. Veteran copywriter Luke Sullivan has updated his best-selling guide to take into account digital revolution. Hey, Whipple, Squeeze This is part instruction manual, part exposé that is one of the cornerstone texts for all students of advertising and media. Peppered with hilarious industry war stories told in Sullivan's unapologetic style, this is one of the most essential reads for anyone in the industry. You can tell Sullivan is a copywriter because the prose is engaging, the pace lively, and the techniques and ideas presented in a concise but easy-to-grasp manner. Every student of design, advertising, copywriting and media has probably read this book, but if you were living under a rock somewhere and missed out … hop to it! Well, that's all on my reading list. What books have you enjoyed?